Enhancing usability for those who use assistive technologies. View this video with audio descriptions here. As Microsoft CEO Satya Nadella said, “We will focus on designing and building products that our customers love and that are accessible to everyone and built for each of us.” In this update, we focused on making OneNote more usable for those with disabilities—such as vision and mobility impairments. We interviewed hundreds of people and analyzed product telemetry to understand how to improve keyboard shortcuts and the screen reader experience. We’re excited to share a vastly improved user experience in these two areas. Now you can more easily use OneNote with keyboard shortcuts. We worked with users to learn how we could improve the navigation layout—especially for larger notebooks with more sections. Now, the navigation controls are all in one area on the left-hand side of the app. This allows users to easily switch between their notes and dramatically improves usability with assistive technologies. With the new consolidated and simplified design, screen readers can easily navigate through the app to help those with disabilities. In addition, content is front and center—helping students to focus and avoid distractions. 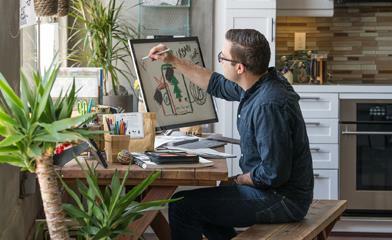 OneNote is available with a consistent experience across devices. 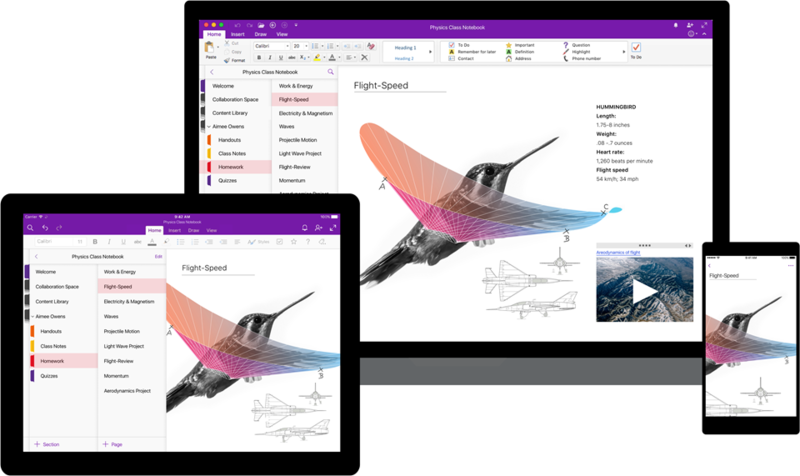 The new redesign for OneNote is rolling out for Windows 10, Mac, iOS, Android and OneNote Online over the coming weeks. Check out our help article for support and to learn more about the specifics of OneNote’s update.